Lego builder and Zelda superman, Joseph Zawarda spent an insane 2 and a half years building the Hyrule Castle from the Legend of Zelda: Twilight Princess. 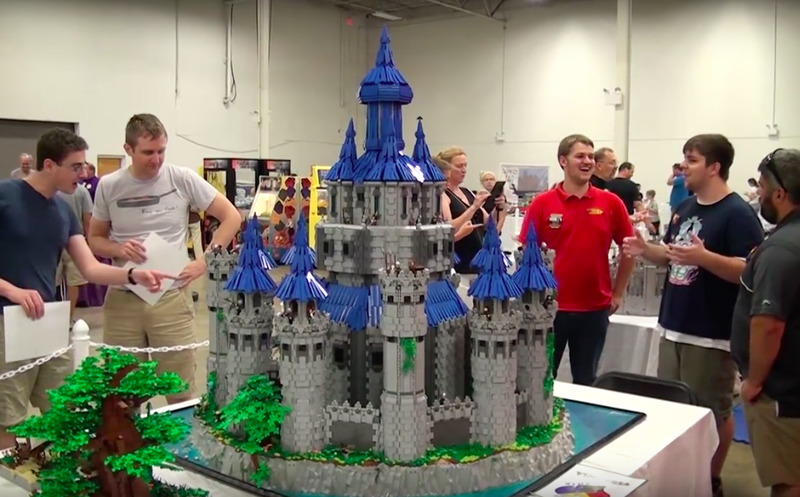 The19-year old recently unveiled his massive creation at Virginia’s BrickFair this August. The lego castle is so huge it takes two cars to move it. The roof design was the most difficult, because he had to figure out how to make the blocky lego bricks look curved. Some of the pieces for the towers came from the lego castle sets, as well as some technic pieces. He had to bricklink lots of pieces from Scandinavia. It breaks down into 40 pieces, and is a pretty solid build to transport. The most difficult part was the top roof piece. To see more of Zawarda’s Zelda-inspired builds visit his Flickr page.